Long-time customer Tom Schmitt shares some personal musings on working in the shop while taking into consideration life changes that affect our working ways. A local neighborhood resident, Tom often graces the aisles of Highland Woodworking in search of tools needed to maintain his guitar building habit and for simple, friendly conversation about woodworking dilemmas, Labrador Retrievers, raising teenagers and the nature of the universe. Arthritis is a nearly inevitable consequence of aging in humans. For many human males, it seems the desire to do some woodworking is also. There are many things the modern woodworker can do to minimize the impact of woodworking on one’s arthritis and to also minimize the impact of arthritis on woodworking. 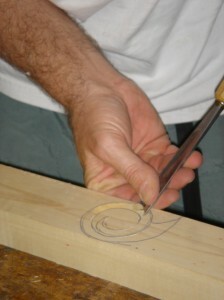 CLICK HERE to read some of Tom’s suggestions on dealing with arthritis and woodworking.